DETROIT -- For Dodge dealer Carl Galeana, the timing couldn't have been better. Chrysler Group this morning awarded him a Fiat franchise. It so happens that Galeana is closing the doors of his Saturn of Lakeside dealership in suburban Detroit on Oct. 31. “I'm going to shut down with a Saturn key and open with a Fiat key,” said Galeana, who also won a Fiat franchise for his Fort Myers, Fla., dealership, which also sells Chrysler, Dodge, Jeep, Ram and Kia. Galeana was one of an undetermined number of Chrysler dealers awarded Fiat franchises today. Three were in the Detroit area. 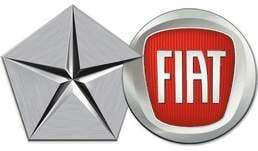 Chrysler Group has declined to give out the number or issue a list of dealers awarded Fiat franchises. Metro Detroit Chrysler dealers David Fischer and Bill Golling also were awarded Fiat franchises. Stores were also initially awarded to dealers in New York, Massachusetts, California, Washington, Pennsylvania, and Maine. Chrysler plans to assign franchises to about 165 dealers in 119 markets and expand the number to about 200 next year. The new dealers are being selected as Fiat prepares for the marketing launch of the Fiat 500 small car beginning in March. Its entry into North America will mark the return of the Fiat brand after more than 25 years. Chrysler has not finished awarding dealers Fiat franchises. Chrysler Group dealers who are awarded franchises will sign a separate dealer agreement from the one they already have with the company. The agreement will be between the dealers and Chrysler, which will manage the network. Those awarded franchises in the first round have all been Chrysler dealers, but Chrysler said it also received Fiat franchise applications from non-Chrysler dealers. A selection team has been reviewing proposals from Chrysler dealers. In their applications, the dealers had to provide information on their plans to develop their facilities, marketing, sales and service. The 500 will be built at Chrysler's Toluca, Mexico, plant. Chrysler plans four versions of the 500: a convertible and a sporty Abarth version in 2011, followed by an electric variant in 2012 and a high-roof, four-door model in 2013. Early versions of the basic model will arrive in showrooms sometime in December, and dealers will build stock until the market launch. Chrysler created some controversy early on by not inviting all of its dealers to apply for Fiat franchises. Rather the company invited only dealers from 119 markets it identified with strong potential for small-car sales growth. Invitations to submit proposals went out to only about 600 of Chrysler's 2,317 dealers. Chrysler expects to sell 50,000 Fiats in 2011 in the United States, growing to a peak of about 78,000 in 2013. For comparison, Mini sold 54,077 U.S. units in 2008 before the recession. The Fiat showroom will be called the Fiat Studio and will be "inspired by modern Italian design." Chrysler believes Fiat customers will "have a strong appreciation of design, style and fashion. They have a strong appreciation of Italy and Italian culture." As part of his proposal, Galeana submitted statistics showing that Michigan's Macomb County, where the Fiat store will be located, has a large population of Italian-Americans. He plans to work actively with Fiat owner clubs, some of which still exist even though it has been more than two decades since Fiats were sold here. For Galeana, the Fiat opportunity bears an uncanny resemblance to the launch of Saturn. He was one of the dealers who got in on the ground floor when Saturn debuted in 1991. “This is very similar to the excitement in how we rolled out Saturn,” he said. Galeana's store is at the intersection of two major roads near a large shopping mall in Macomb, Mich., the kind of location the Fiat selection committee was looking for. The selection committee looked at maps of metropolitan areas that showed clusters where small-car registrations have been very strong. Galeana's 21,000-square-foot Saturn store also has 10 service bays. He plans to keep most of his 25 employees at the Michigan store, down from a peak of about 45. A number of those employees have been with him since the Saturn launch 19 years ago.